From skull backpacks and belts to fun, temporary tattoos and cool aviators, LSF brings you some of this season’s top accessories for your little boy- just in time for the holidays. 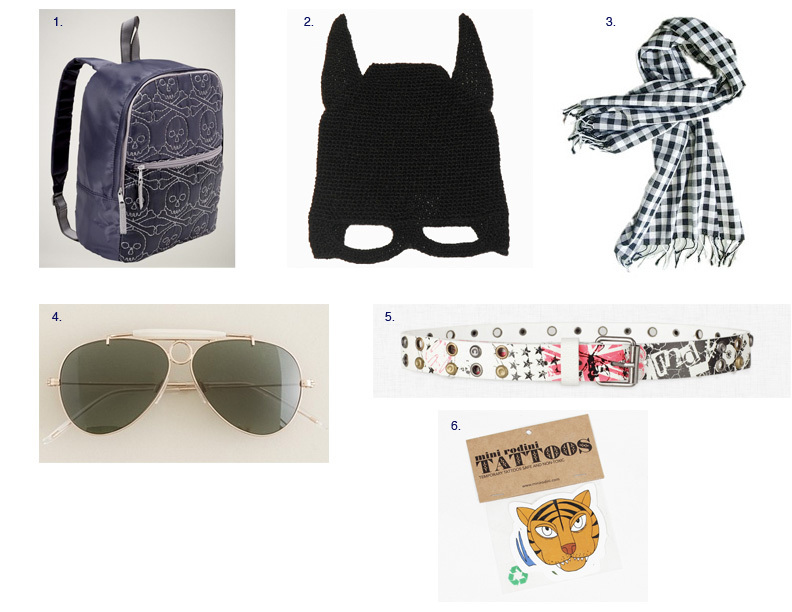 This entry was posted in accessories, kids fashion, little style of the day and tagged backpacks, boys accessories, estella nyc, GapKids, JCrew Crewcuts, mini rodini, scarf, skull belt, Sunglasses, temporary tattoos, Zara Kids by Little Style Finder. Bookmark the permalink.